How differently an artist thinks? Posted byNiveditha Warrier September 15, 2016 September 15, 2016 Leave a comment on How differently an artist thinks? Even though art and artists existed ever since the dawn of civilizations the concept of artistic work as an object of beauty, and artists as a rare individual gifted with the talents to create such beautiful objects is a rather later development. This can be understood when we try to learn the motives behind the production of art in the early ages. The Egyptian art during the period of great Pharaohs provides a good example in this regard. Indeed the Egyptian art aesthetically brilliant. 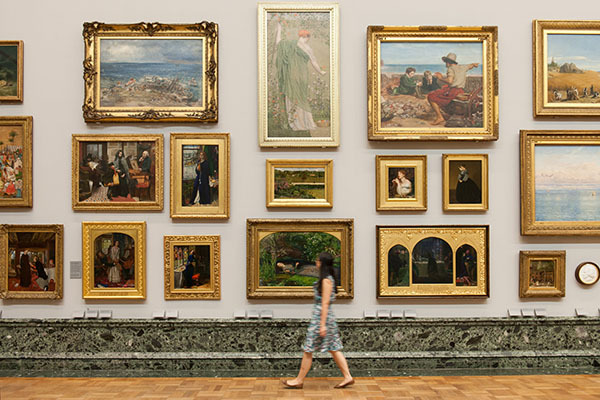 But the artists who did these marvelous works, or the Kings and nobles who engaged these artists to paint them never had in their minds any aesthetic motives. Researchers have proved that it was their religious philosophy that led them to create these paintings. 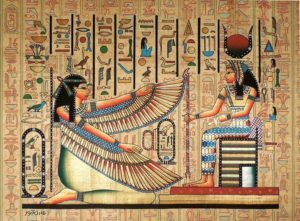 Centuries after the creation of the Egyptian art, love for beauty and aesthetic yearnings became the driving forces behind the dynamics of art. And then on a new image of the artist was also born: the divine creator of things beautiful. When we use the term ‘artist’ we should bear in mind that it is not a monolithic term. The artist who attempts a new work in his gallery in Paris, the mural painter who sketches on the temple walls of Kerala, and Japanese painter who delicately paints a flower of a porcelain pot do not have much in common. Their medium, materials, style and ambitions are varied. Yet one common strand binds them all: that they think differently from the rest of the world. Watch the mural painter. Her paintings bear the testimony of the unique and deviant way in which she thinks. The characters she draws are ethereal, the anatomy these characters have are strange and stylized, and the colours and decorations conjure up a mythical past. But what is most dizzying is that in her paintings she has given a holiday to the rules of perspective. Here depth, distance, and dimension have playfully absent, and a wholly new world is born where ‘here’ is ‘there’. Yet we also have the realistic painter. Gustav Courbet is a wonderful example. In contrast to the mural painter he is busy creating the ultimate expressions of reality. But watch his paintings carefully. ‘Real’ proves to be a deceptive term here. Quite often he outsmarts reality, not by being unreal but ‘too real’. We feel when he draws the sea it becomes more ‘sea-like’ than all the seas we have seen in life. And what about the political vision of an artist? Like any intelligent member of the society an artist also has her own political bearings and ideologies. But in expressing the political vision through her paintings she has her own unique ways. 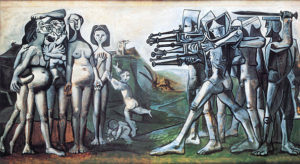 When Picasso depicted the agony of wars in his painting ‘Massacre in Korea’ (1951) he had his political vision deeply embedded in it. Yet he wasn’t acting as a political news photographer of news paper. He was speaking to a future world in a language unique to him. Similarly when M.F. 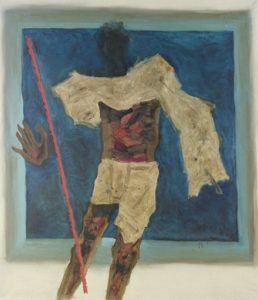 Hussain painted Gandhiji he was not following any known interpretation of the Mahathma. His was an aesthetic expression far removed from the journalistic ways. When an artist works the difference speaks.